Bill and Melinda Gates Foundation offered $ 100.000 to the designer who can develop what could be called the next generation condom. Irina Blok, art director, gave it a try: "Dear Bill Gates, I wanted to answer your challenge of reinventing condoms from graphic design perspective. Perhaps the biggest problem with condoms is boring packaging, and not the actual product. Creating compelling artwork could encourage people around the world to actually use these. 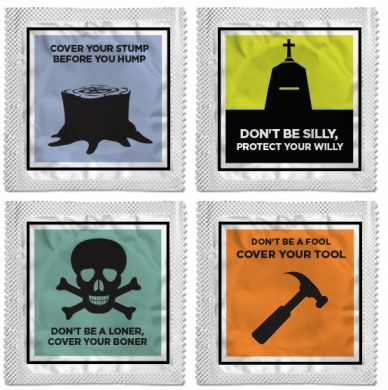 For example packaging can be a fun reminder, Or it could tell a story what would happen if condoms are not being used."